Avalon Village in Highland Park. It doesn’t take a millionaire to build a village. A passionate team of engineers, artists, urban farmers, futurists and others is transforming a blighted block of Highland Park into a sustainable eco-village with solar lights, a marketplace, a healing house, shipping-container architecture, a greenhouse and space for children to learn. Organizers will unveil details of the Avalon Village project at a groundbreaking beginning at 4 p.m. Saturday at Avalon and Woodward. 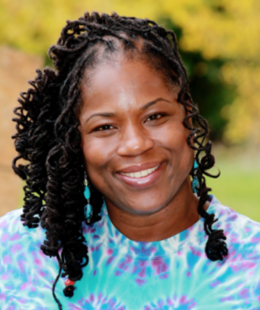 After an inauguration and speeches, the block will come alive with music and a bonfire from 7 p.m. to 11 p.m.
Project director Shamayim “SHU” Harris. Highland Park resident Shamayim “SHU” Harris is directing the project on a block with one house and 10 vacant lots. Over the past decade, Harris has purchased the lots from the city and state and has maintained the area with the help of workers from a halfway house. Harris also built a park in honor of her 2-year-old son Jakobi RA Harris, who was killed by a hit-and-run driver in September 2007. “She’s managed to win over everyone with love,” Justin Wedes, who is helping with the project, told us. Harris and her team are trying to raise $250,000 to complete the project. An online fundraiser will be launched next week. They’ve already raised $100,000. This sounds like a perfect space for cohousing. 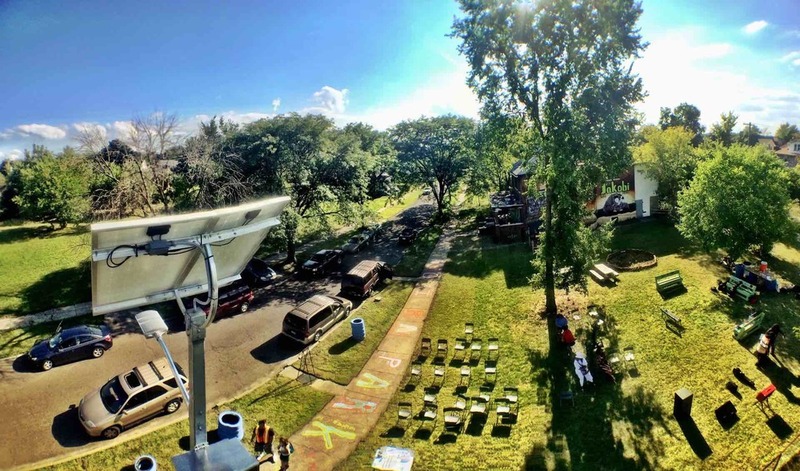 It’s important when creating these community creative centers, such as the eco-village project in Detroit, that there is a natural flow of community interaction. That is the #1 priority of cohousing and it has proven to be a successful model for sustaining these centers. What is the DATE of the celebration? Curious, because on the next block, Glendale, there’s already a small park. In the long run, people like Ms.Harris and projects like this will have a bigger impact on the city residents than all the billionaire stadiums combined. These are the city’s real “Saviors”. Mark his words, Harry is correct.